GREENWICH, Conn. – Recognized as one of the premier classic car shows in the country, the Greenwich Concours d’Elegance will celebrate its 22nd year of showcasing significant cars, motorcycles and one-off automotive creations on June 3-4, 2017. 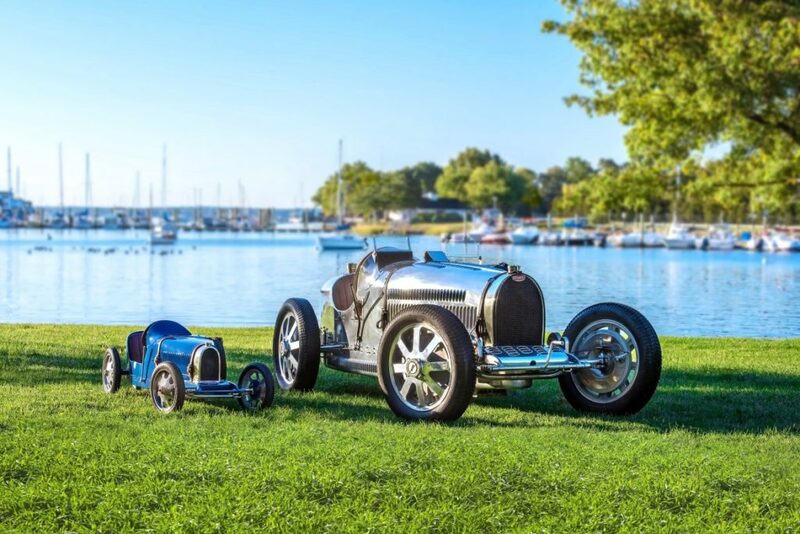 The brainchild of the late Bruce Wennerstrom, the Concours continues its tradition of holding two unique Concours back-to-back at Roger Sherman Baldwin Park overlooking the Greenwich, Conn., harbor on Long Island Sound. For 21 years, the proceeds from the Greenwich Concours have gone to support Americares, a health-focused relief and development organization that responds to people affected by poverty or disaster with life-changing medicine, medical supplies and health programs. Organizer of the world-renowned Amelia Island Concours d’Elegance, Bill Warner, has been named the Grand Marshal. Saturday, June 3, will be the Concours Americana for American cars and motorcycles, while Sunday, June 4, will feature the Concours International for imported marques. The inaugural hot rod display being organized by Velocity Channel’s Chasing Classic Cars host Wayne Carini will highlight Saturday’s show. A special exhibit of children’s cars and supercars will round out the day’s displays. Saturday’s ticket also allows attendees to preview all of the cars in the Bonhams auction tent. Tickets are also available on Saturday night to a gala party and elegant buffet at the Greenwich Delamar Hotel, with luxurious yachts as a backdrop on the quay. Sunday’s featured marque will be Bugatti and will include a collection of rare Bugattis from the American Bugatti Club. Sunday will also feature race cars from the Lime Rock Park Historic Festival. The Bonham’s auction begins at noon on Sunday and requires a separate admission. Also showcased during the weekend will be the iconic outlaw cars from the original cross-country Cannonball Baker Sea to Shining Sea Memorial Trophy Dash, held in the ’70s, along with some of the later non-outlaw entries. These cars will also be displayed at the Cannonball Reunion, a joint evening event with the Greenwich International Film Festival, at Cole Auditorium on Friday, June 2. Proceeds from this event will support the development of the New England Auto Museum, a nonprofit organization dedicated to building a world class automotive display and educational facility in Connecticut. Both days will include displays of the latest in new cars including BMW, Cadillac, Tesla, Lincoln, Jaguar, Land Rover, and Miller Motorcars of Greenwich will highlight its Ferrari, Bugatti, Pagani, Alfa Romeo, Aston Martin, McLaren, Bentley, Rolls-Royce and Maserati marques. Opportunities to test drive some of these new vehicles will be offered. There will also be a number of luxury yachts displayed at the adjacent Delamar Hotel docks. VIP tickets are available on a limited basis. A VIP ticket includes early entry to the Concours, breakfast and lunch with the car owners and judges, access to the VIP lounge and patio at the Delamar Hotel, entrance to the Bonhams Cocktail Reception on Friday night, lapel pin, poster and a VIP lanyard.